Just in case you’re wondering, the worst mistake you can make that negatively affects your credit rating is late payments. Based on FICO’s credit formula, your payment history accounts for 35% of your credit score. Your credit payments are reported by your creditors every 30 days to the credit bureau. Any disruption in your payment pattern sends your credit file into a frenzy causing your credit score to plummet. Building from a missed credit payment depends on the type of credit account in question. For example, a mortgage payment is weighted more heavily than a credit card in the FICO algorithm and therefore takes more time to recover from. Secondly, the higher the score the more a late payment would negatively affect you. 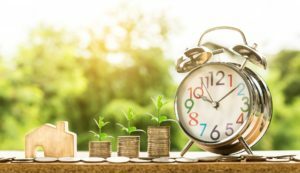 A recent study shared on FICO’s Banking Analytics Blog, noted that a 30-day late mortgage payment can take anywhere from 9 months to three years to recover from. Recovery times differ depending on the individual credit score. Credit cards may take less time to re-build from. The best way to mitigate a history of late payments is to NEVER ever miss payments going forward. High credit utilization is another mistake that negatively affects your credit rating. A credit card utilization rate above 30% would begin to drag down your credit score. You want to keep your credit utilization around 10%. In the case of high utilization, paying balances down is the best way to help improve your credit rating. 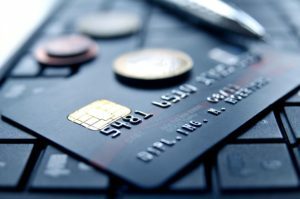 Carrying high balances sends the wrong message to the credit bureaus that you are cash strapped and living off credit. This in turn further hurts your credit score. You’d also be paying double digit interest rates on those balances which increases your debt and makes it more difficult to pay off. Increasing your credit limit can be a short-term solution because it does in-fact decrease your utilization ratio, but this is not a solution for everyone. If you’re not disciplined about managing your credit accounts, a credit line increase can easily put you further in debt. When it comes to building credit back up, don’t always settle for the quick fix, you’ll regret it later. The FICO algorithm includes a category called “Average age of credit,” which represents 15% of your credit score. It essentially looks at the total “age” of each of your accounts or the number of years/months you’ve had an account and divides that number by the amount of accounts you have. The answer represents the “average age of your credit.” The higher the number, the more valuable it is to your credit rating. Which brings me to the point. Closing older established accounts on your profile would decrease the “average age of your credit” and ultimately hurt your credit score, especially if you’re trying to rebuild . If you must close an account, make sure it is not one of the older more established credit accounts. Secondly, if you close an account that negatively affects your credit utilization or lowers your available credit ratio, it can also prevent your from building your score back up. Building step 4: Avoid co-signing or adding an authorized user. There are various instances where cosigning a loan or adding an authorized user on your credit card is necessary. It’s extremely important to be educated around the pros and cons of co-signing. Having spent more two decades in the banking industry, I’ve seen first-hand the problems that can occur when things don’t work out. The thing to always remember is that as a co-signer, you’re on the hook for that debt. Secondly, credit card companies for example, are not in the business of differentiating who did what when it comes to credit card balances. Thirdly, some companies may not allow you to remove a person’s name from an account, even if you are the primary account holder. You may have to refinance the entire loan/line and or re-apply for a new account altogether. Bottom line is the debt has to be paid. As stated earlier, if things don’t go as planned, make sure you’re not left holding someone else’s debt which can hurt your credit score. In case of a dispute with a co-signer, you can pursue a legal remedy through small claims court. Claim amounts can vary by state. Things like bankruptcy and foreclosure can impact your credit profile for years. The good news is, recovering from credit mistakes and rebuilding is time consuming but possible. More good news! All debt, with the exception of Federal student loans or Federal liens, have a statute of limitations. It’s really important that you know what they are. You can create your own DIY credit action plan to review, manage and monitor your credit in efforts to rebuild and recover. As part of that plan you can get a free copy of your credit reports from annualcreditreport.com (All four bureaus) Equifax, Experian, Transunion and Innovis. A hard copy of your credit report will list when a debt is scheduled to fall off, including bankruptcy or foreclosure. In addition, to mitigate the negative, make sure you are building on the positive – your good active accounts. Never miss payments and keeping utilization rates down. The credit repair industry itself can be misleading and tough to navigate. 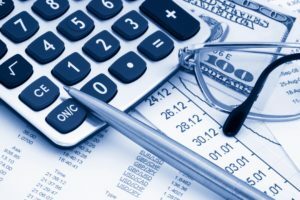 According to the Credit Repair Organization Act, “companies that offer credit repair is prevented from demanding advance payment and are required to provide contracts in writing that gives consumers certain contract cancellation nights.” If a credit repair companies is asking you for money upfront or want you to pay for a service they have yet to provide, they are breaking the law. I am sure there are legit companies out there providing a great service, but the industry is littered with many that make promises they are unable to fulfill. I hear stories from many of my workshop students, that have used companies who were ultimately unsuccessful in addressing their needs. That said, be aware of the quick fix schemes and be committed to building your credit score back up the right way. One of the best investments you can make during your lifetime is in your own education. Educating yourself around the use and management of credit is supremely important. Credit usage permeates every segment of our lives, from student loans to personal loans, and from auto loans to mortgages. And yet, many school/college curriculums do not cover this issue or households for that matter. Investing time and energy in this endeavor will not only save you money, it will help you make wiser credit choices in the future. It will also pay dividends as you become more knowledgeable about the credit game. Not only is educating oneself empowering, but acquire new knowledge and practices which when applied can help prevent costly and repeated mistakes. The simplest way to break old negative habits is to formulate new positive ones. The beauty of learning new habits, is knowing that you would be less likely to recycle past errors. Stop going in circles. 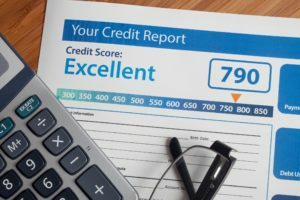 Take the time to understand the credit process and particularly how you can employ new positive practices to help rebuild your credit and credit score. For families whom are be impacted by less than good credit, the financial cost to their households can be significant. For example, over the life of a 30-year mortgage, the cost can be tens of thousands more, versus borrowers with higher scores. Having bad credit can also cost you a great career opportunity or time and resources with credit repair services. That said, whether it’s applying for a job or not knowing how the usage of credit can be leveraged to build wealth, learning about credit affords you the opportunity to become better stewards of your financial life. Ultimately, we’re talking about taking back control of your financial life with respect to your credit. 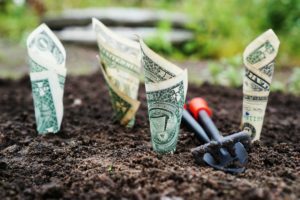 This intangible asset and proper understanding of its usage is a financial difference maker which can help you build a financial legacy if not greater levels of self-sufficiency.